March Bowls Carnival; Easter Open Tennis Tournament; Beverley Art Gallery Exhibition – Easter Long Weekend; Station Platform Theatre Events – October to April; Agricultural Show – August; Open Teams Golf Championships - September; Rose Show – October; Gliding; Motorcross; Rifle Shooting; Horse riding. 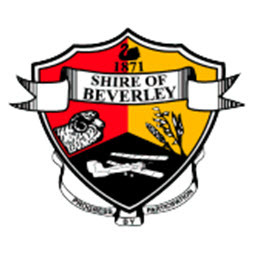 Avondale Discovery Farm; Aeronautical Museum; Dead Finish Museum; County Peak; Beverley Station Gallery and Platform Theatre; Caravan Park; Historic Buildings – Old Court House; Town Hall and Police Quarters; Riverside Park; and Yenyening Lakes. Sheep; cattle; cereals; boom spray fabrication; metal fabrication; olive farming; sandalwood.